​Newcastle manager Rafa Benitez is set to leave the club this summer if he is not granted at least two of the January transfer requests he made at the start of the month. The Spaniard is desperate for fresh faces to reinforce his current squad as he seeks to ensure the Magpies avoid relegation for a successive season in the ​Premier League. 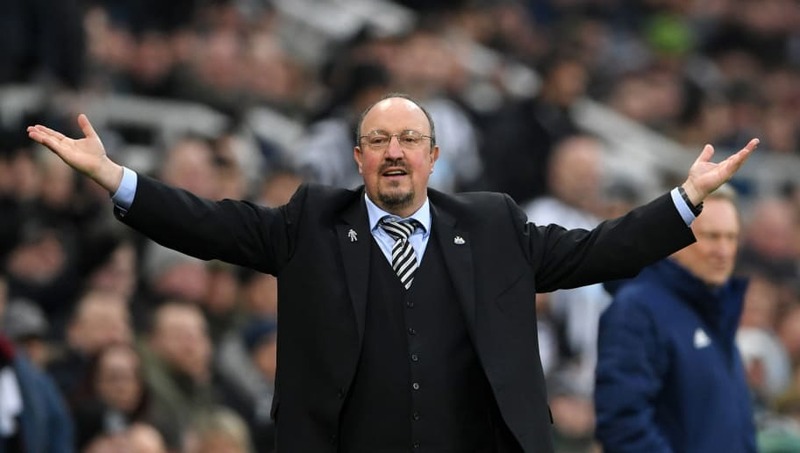 But, despite initial optimism at the start of the week that he could get his men, the ​Telegraph are now reporting that the inaction on any of his pleas has pushed Benitez to "breaking point". It is understood the 58-year-old handed his superiors a dossier filled with a list of targets for this January, arranged via their prices. And, though he has not yet spoken publicly in regards to transfers this month, he has reportedly now issued an ultimatum. The report claims: "If the club refuse to listen to back him before the end of the month, he will reject all offers of a new contract and will quit at the end of the season. "The Spaniard’s preferred option is to remain on Tyneside, but he will feel that is impossible if he is not listened to again on the issue of recruitment." Such issues have plagued Benitez ever since he joined the ​Magpies in 2016, and indeed the club itself since Mike Ashley's takeover. And the initial optimism that surrounded the submitted bid for Atlanta United's exciting Paraguayan playmaker Miguel Almiron has been replaced by anger, with the offer seemingly well short of the club's £30m evaluation and no progress made since. There has also bean loan interest in Lyon striker Martin Terrier and ​Juventus' precocious winger Moise Kean, though things have been similarly slow there.